​Why stress about getting your point across? 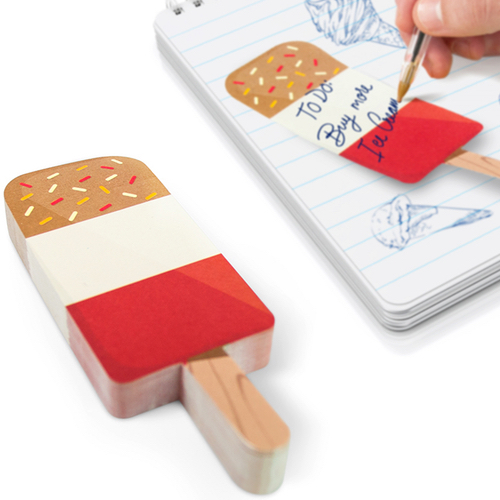 Chill out, post our Ice Cream Bar Sticky Notes and watch heads turn as your thoughts get the attention they deserve! Featuring a funky version of a Neapolitan, this dream bar will surely take the bite out of your sarcastic notes to your forgetful roommate as you gently stick it to them or add a touch of sweetness to your kiddos packed lunches! Sticky sweet, but not drippy! A fun gift for your stationary sugary-sweet treat loving pals.